The Work Room and Cove Park are collaborating again in 2019 to offer a Work Room member a residency at Cove Park, for themselves along with collaborators from other disciplines. The residency is intended to bring a new dimension to a creative practice or practices. Building on the successes of 2017 and 2018, this year we have 4 ‘artist weeks’ of residency available and we will consider a number of configurations of those weeks based on the needs of the project proposed. The lead artist/s can propose to use the time as they wish, with collaborators for the whole or parts of the time. We encourage applications that seek to investigate multi-disciplinary approaches. The closing date is 1st April 2019. Please visit www.theworkroom.org.uk to find out more. Those interested in applying are welcome to join a site visit on 21st March 2019 – please contact sara@theworkroom.org.uk by 15th March to reserve a place. Image by Eoin Carey / Luminate Festival 2016. 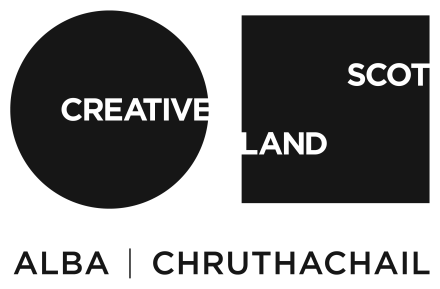 Cove Park is delighted to be one of 16 Scottish arts projects awarded funds through a partnership between British Council Scotland and Creative Scotland to create a nationwide series of projects involving European artists and partners. This award will allow Cove Park to offer a new interdisciplinary programme of residencies in 2019 and 2020, developed in collaboration with partners in Belgium, Finland, France, Germany, The Netherlands and Sweden, amongst others. Cove Park’s European Residency Programme will also create opportunities for artists based in Scotland to undertake residencies hosted by our partners in Europe. A number of these residency exchanges will be maintained and developed beyond 2020 and continue to create opportunities for exchange between Scotland and EU nations in to the future. Further details of this programme and information on our partners will be announced on 29 March 2019. The Press Release issued by British Council Scotland is available here. December’s Newsletter includes news of funded residency opportunities in 2019, our current residency programme and an update on Scotland + Venice 2019. The Featured Artist this month is Emer Tumilty. Our September Newsletter has information on all of the residents taking part in Cove Park’s programme this month, news of the appointment of the Scotland + Venice 2019 Project Manager and a call for applications to the Scotland/Japan 2019/2020 residency exchange programme. This month’s Featured Company is Magnetic North, a company that has worked with us for several years and returns again this month. Our August newsletter has now been published, including updates on all our current residencies, our Featured Artist Jamie Crewe, information on a new Book Deal Residential Masterclass and upcoming Hands-On activity including Saturday Studios with Laura Lightbody and Scarlett Cohen French. Published today, our July Newsletter includes updates on all our current residencies, Scotland + Venice job opportunities, information on a new Book Deal Residential Masterclass and our summer Hands-On programme of workshops and events! In September 2018, and with continued support from The Fenton Arts Trust, Cove Park will award four residencies for early-career artists specialising in visual arts (with a focus upon painting or sculpture), literature, crafts/design and music/composition. These funded three-week residencies will run in parallel from Monday 10 September – Sunday 30 September 2018. You can download further information and the application guidelines here. The Work Room and Cove Park are collaborating again in 2018 to offer a Work Room member a residency at Cove Park either for themselves, or along with collaborators from other disciplines. The residency is intended to bring a new dimension to a creative practice or practices. This year we have 4 ‘artist weeks’ of residency time to allocate: The lead artist/s can use the time as they wish, with collaborators for the whole or parts of the time. We encourage applications which seek to investigate multi-disciplinary approaches. The residency will sit within the summer programme, and is a paid opportunity. Please see the attached Guidelines here for more details. Deadline 23rd April 2018.